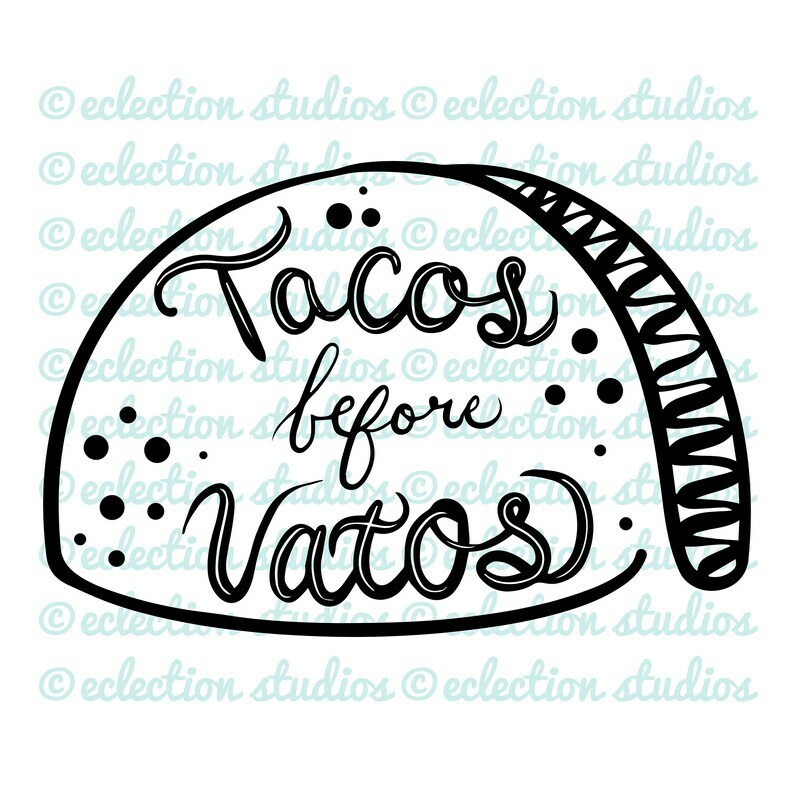 Hand drawn "Tacos before Vatos" word art with sketch Taco outline in JPEG, PNG, SVG, DXF, and EPS file formats ready for to print or cut and add to your own creations. You can use these to cut on your Silhouette Cameo or Cricut design software or incorporate into your design to be printed on your home printer. No editable font file is included. Custom requests are available. Please convo me to get yours.